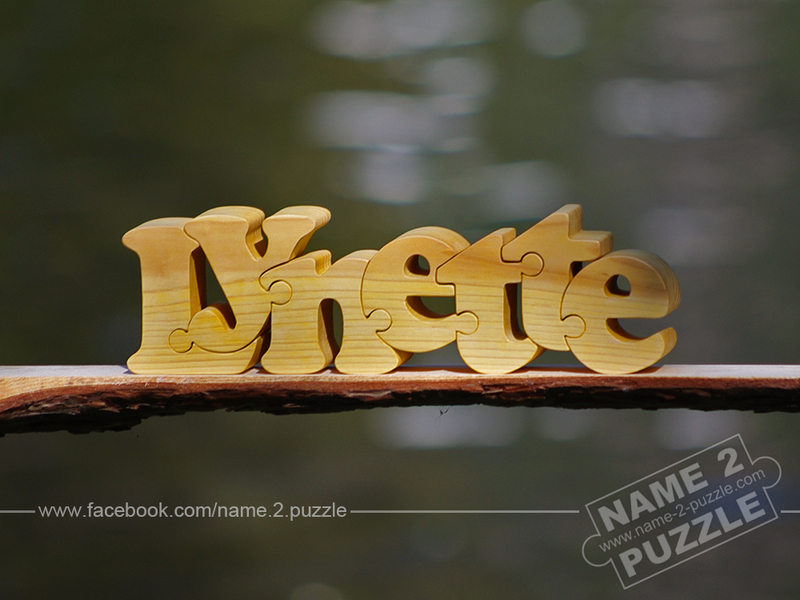 With the two name puzzles you can have your first name and surname handmade from pine wood. 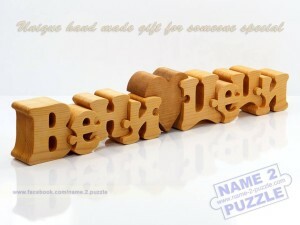 Or maybe you can have your name and your friend’s name and give it to him/her as a present. 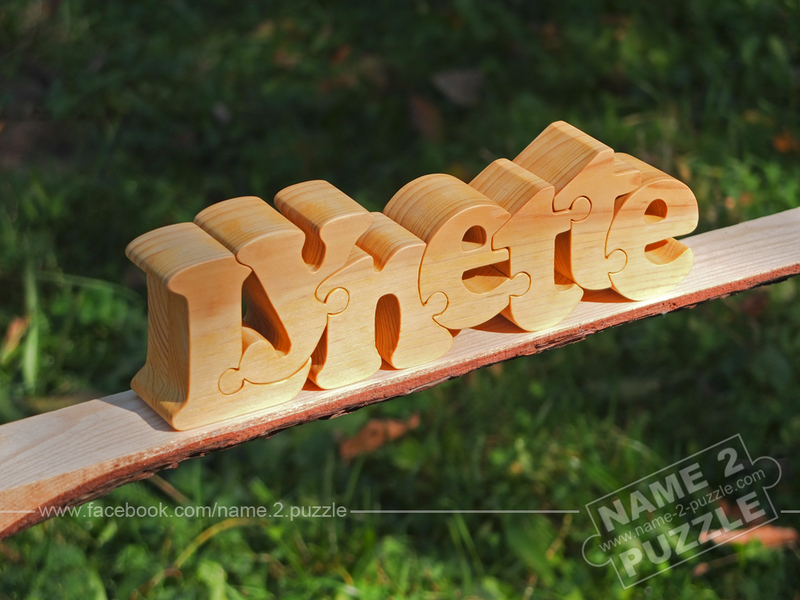 It is personalized and it looks beautiful because it is wooden and polished. 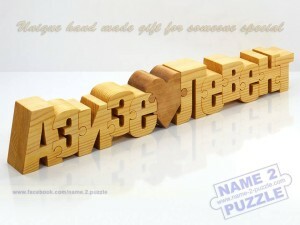 The puzzles are one-of-a-kind because they are handmade only by order. 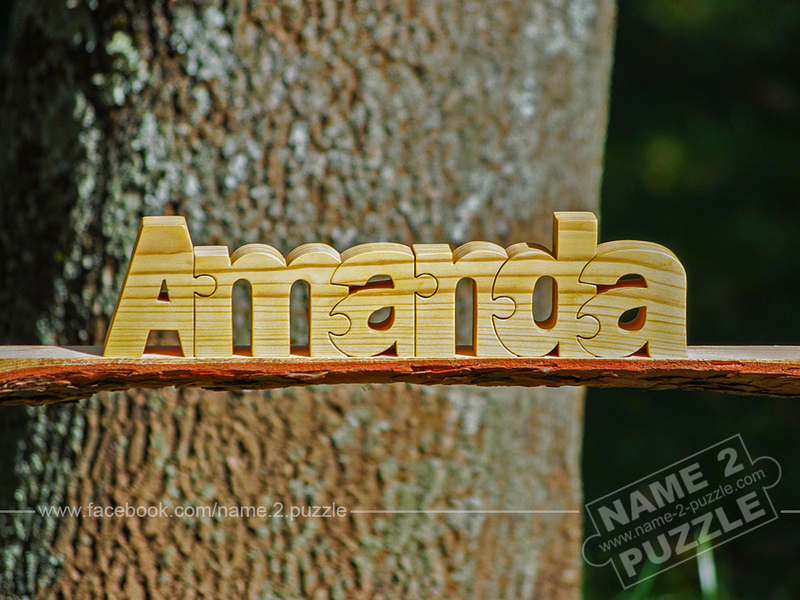 A wide variety of personalized wooden name puzzles for any age. Best personalised gift for newborns, for kids, for adults, gift for a friend, gift for collegue, for the office and for whole family. Dear men, keep it in mind that a carefully chosen gift can cause a positive and lasting impression in the mind of the woman! It could even fundamentally change her attitude towards you in the desired direction. At the same time, an improperly chosen gift that is given formally with indifference or without flowers may immediately cause the opposite of its intended effect. What females find paricularly unpleasant are vulgar gifts or ones that are presented with the explanation that another woman has given you “valuable” pieces of advice on what she needs or what she values most. The gift presentation itself is a very exciting experience for a woman. It is a whole ritual that she values a lot – in some cases even more than the gifts themselves. Thus, prepare a welcoming or pleasant scene that you will act out in advance so that you could disperse her melancholy and cheer her up setting up new horizons. 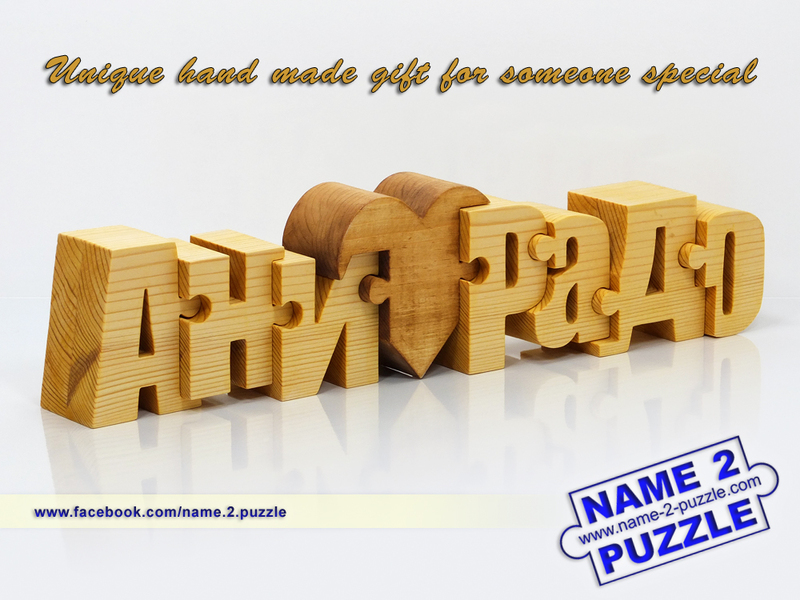 What kind and type of gift should you choose, though? You have three choices. The first one is to give free rein to your imagination and buy something expensive that you think is appropriate for the occasion. 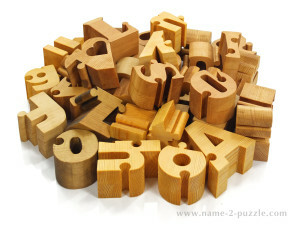 Such choices are generally more than successful but in practice, they rarely occur. Second, at any time on Google, you can choose the different themed gifts for female holidays. I’m drawing your attention to the word “different”. The possible options vary according to your pocket and provide a variety of quality and original pocket mirrors and accessories, fine wood, porcelain, bone vases and boxes, unique jewelry and definitely brand cosmetics – all according to women’s taste and whim. I most sincerely recommend the third choice! 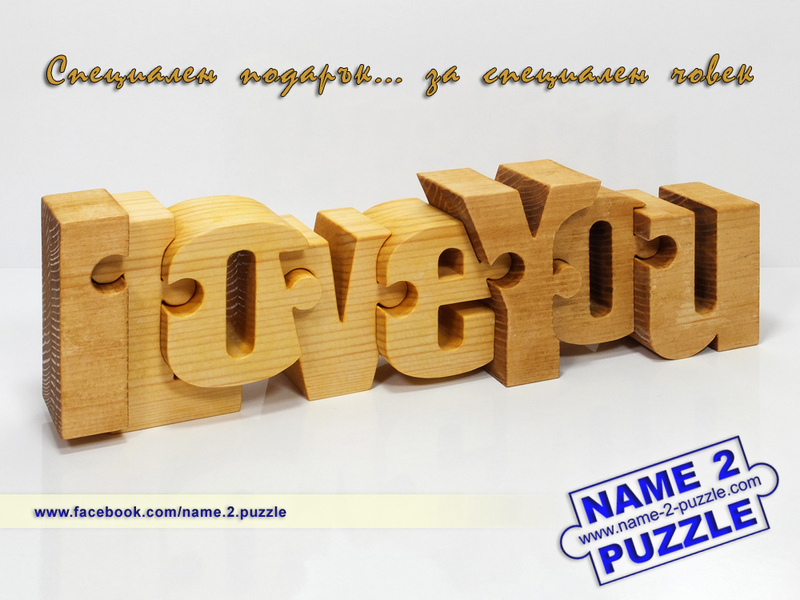 It is the complete measurement that reflects the relationship between a man and a woman. It is related to inquiry, which suggests nothing shameful or degrading. 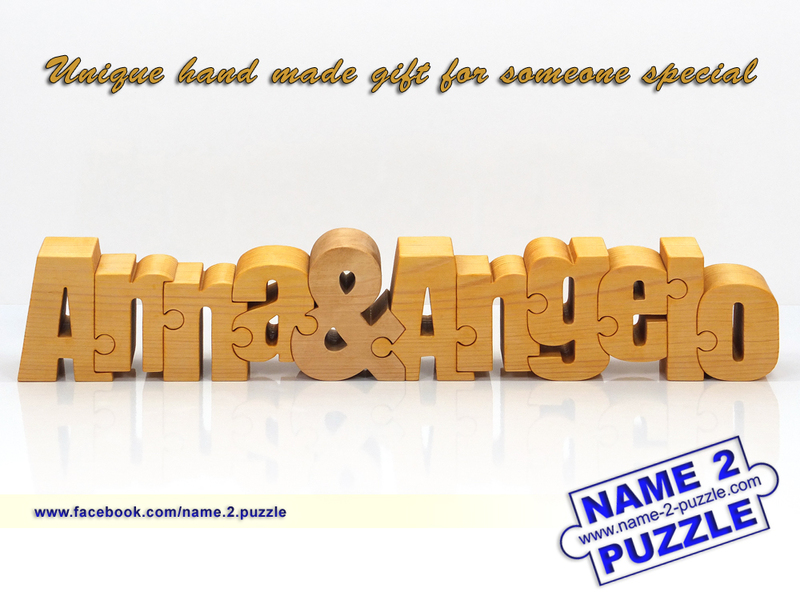 So, ask first what your colleague, friend or close relative would like to receive as a present. If you want to get the “unique gift”, ask her again, stressing on the word “unique” or “something that your friends have not received”. Ask in a way that suggests it depends only on her. If you ask her a direct question, the wise woman will surely ask you a counter question: “Well, how much money can you spare?” In most cases, the wise woman hints what she wants long before the holiday. Remember that we are living in the era of communication and the moment they see you or talk to you, modern women are able to tell you how much you weigh. 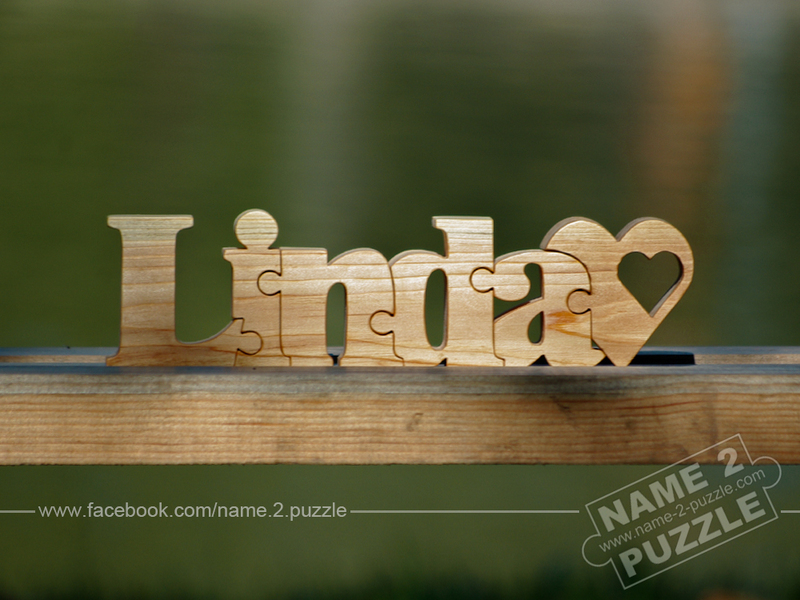 Personalised gifts from wood name puzzle – your name on puzzle! 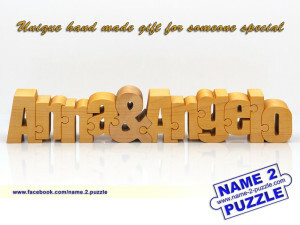 The person that receives this present feels special, unique, noticed, important – and best of all, loved. 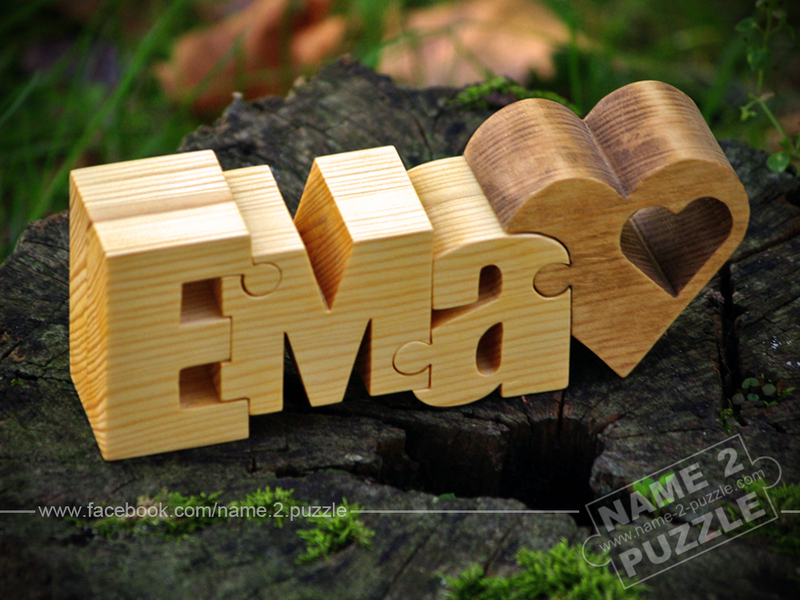 This is a gift that will be treasured forever!